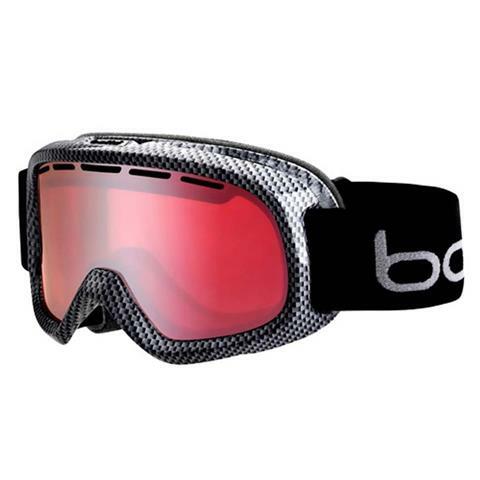 + Helmet compatible – All Bollé goggles are engineered with the latest helmet designs in mind so the fit is smooth. + Triple Layer Face Foam - Ultra soft micro-fleece is the only material on your face, backed with two layers of multi-density foam for a firm soft fit. + Wide Field Of View - Wide field of view ensures maximum peripheral view. The Gravity features a unique new spherical shield, designed with a steeper curve to provide face-hugging fit and the widest field of view in a spherical goggle. + Flow-Tech® Venting - Designed to reduce fogging and optimize the flow of air over the inside of the lens. These venting ports control airflow, while preventing clogging from snow and ice. + Equalizer® Vent - Bollé® Equalizer technology uses a waterproof, breathable vent to eliminate any moisture. The result is distortion free vision and no fogging at any altitude. + 100% UV Protection - All Bollé lenses block harmful UVA / UVB rays up to 400 nanometers. + P80 Plus / Carbo Glas® [Anti-Fog / Anti-Scratch] - Bollé®’s proprietary coating that provides maximum protection against unwanted lens fogging and most scratching. 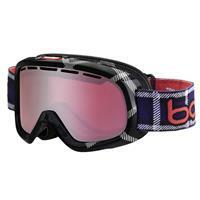 + Double Lens Thermal Barrier - The Bollé unique double lens design creates a thermal barrier, while providing exceptional optics and a superior seal. Pros: uv protection,anti fog and anti-scratch coatings. Cons: nothing negative at all to say about this goggle. 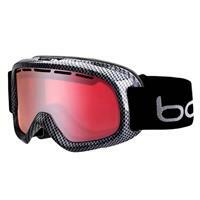 The Bolle Bumpy with the vermillon lens comes in at a very affordable price for kids.Great for a sunny day,great for a partly sunny day, this goggle will also work well in cloudy conditions.Fantastic all around goggle for the youngsters! !